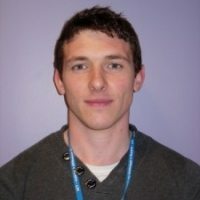 Paul's work is focused on describing the levels and patterns of physical activity and sedentary time in children and investigating the causes of obesity and cardiovascular disease. He has a BSc in Sports Science from the University of Portsmouth and an MSc in Sport and Health Sciences from the University of Exeter. Paul graduated top at both institutions. He also has an MPhil in Epidemiology from the University of Cambridge, a course on which he later taught. He completed his doctorate with the MRC Epidemiology Unit (University of Cambridge) in 2014 under the supervision of Professor Ulf Ekelund and Dr Soren Brage. During his PhD, Paul was the beneficiary of a Charter Graduate Scholarship from Homerton College. Paul remained in the Epidemiology Unit as a Career Development Fellow before moving to Bradford. He has reviewed articles for numerous journals including PLoS ONE, MSSE and IJO, and has provided invited scientific commentary for the media. Paul has active scientific collaborations with the Universities of Londrina (Brazil), Swansea, Southampton, Loughborough, Cambridge, and the Norwegian School of Sports Science. Meeting the children taking part in our studies, and seeing they have worn our activity monitors every day and night for a full week, just like we asked! My Pound Puppies – I love dogs. Visiting my family in Cornwall, camping and being active outdoors.